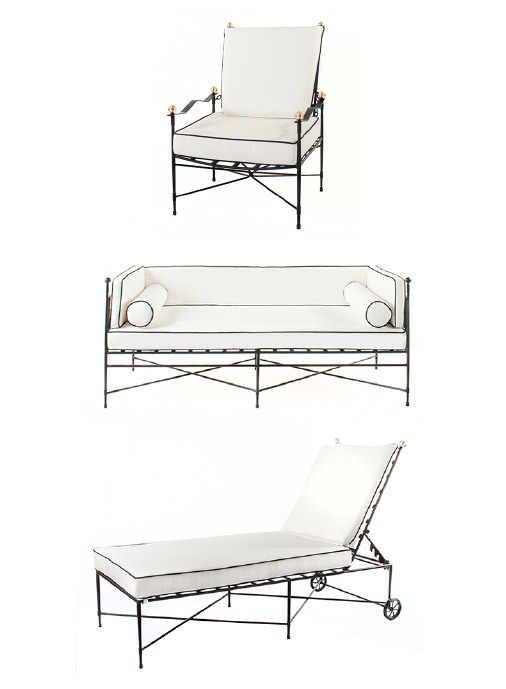 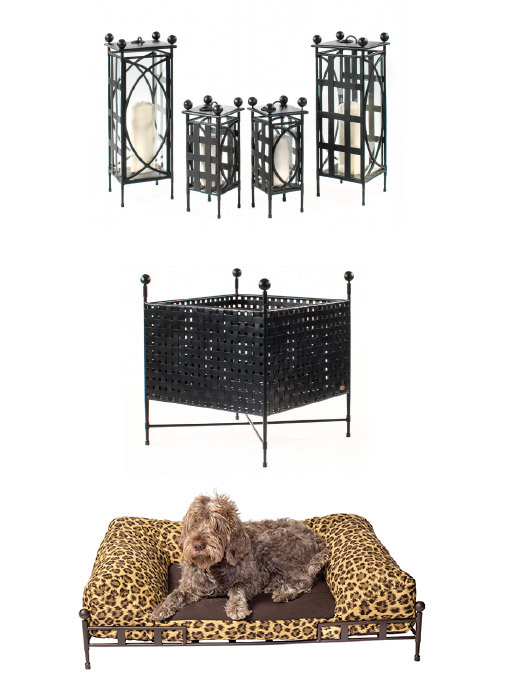 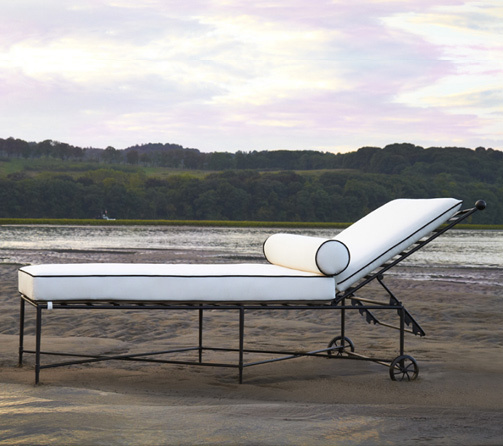 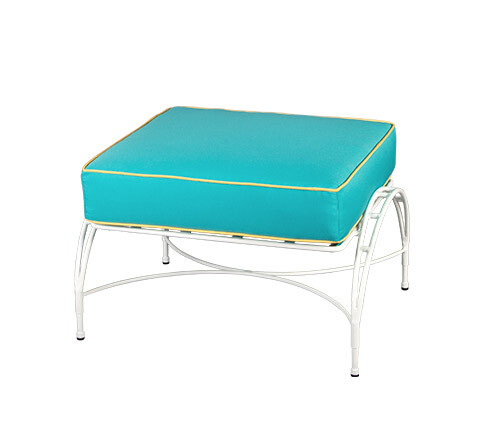 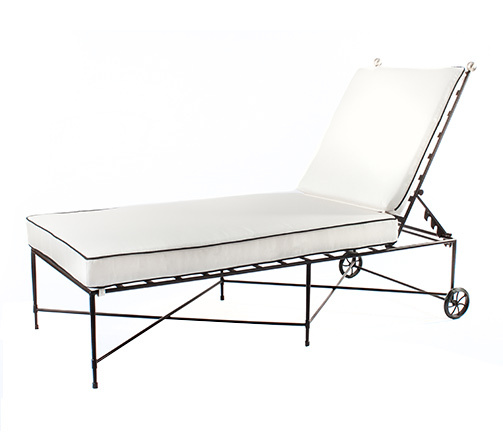 The Phoenician Ottoman offers comfort and support in a handcrafted steel frame. 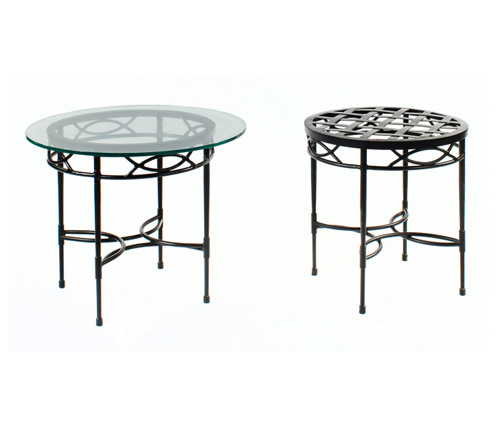 The legs of the ottoman celebrate arches and circles giving the frame a seamless fluid feel. 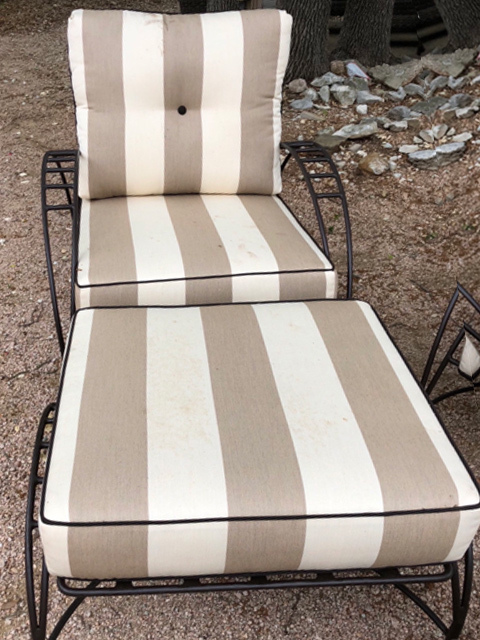 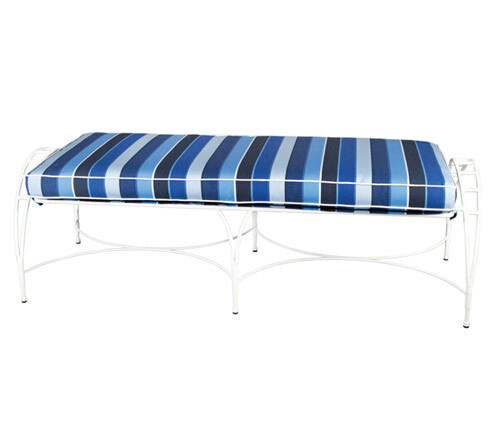 Our cushion is covered in a Sunbrella fabric, rounding out the beauty and quality of this piece. 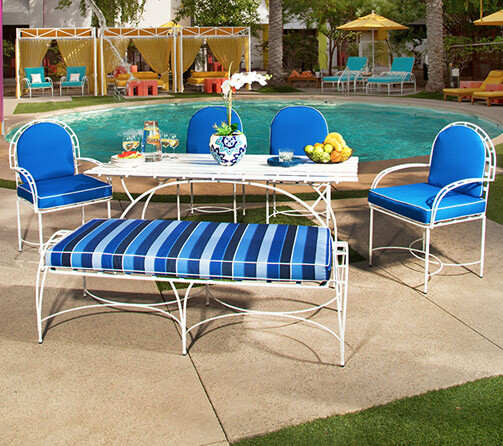 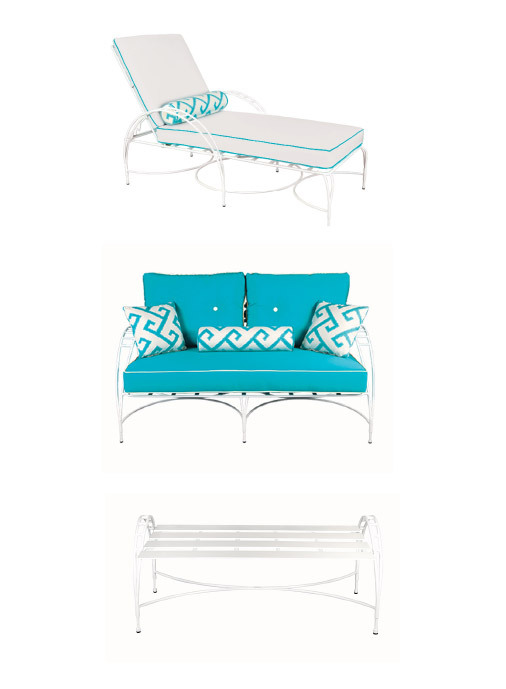 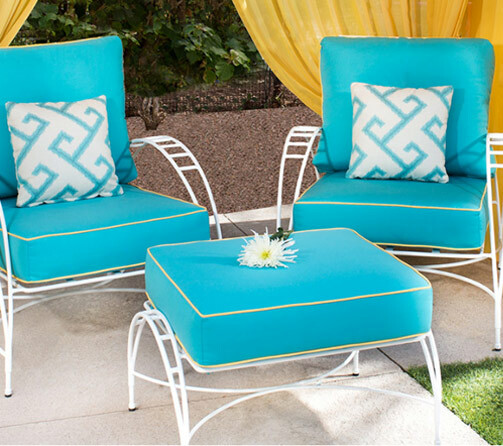 Pair the ottoman with our lounge chair or love seat to complete your patio’s retro vibe. 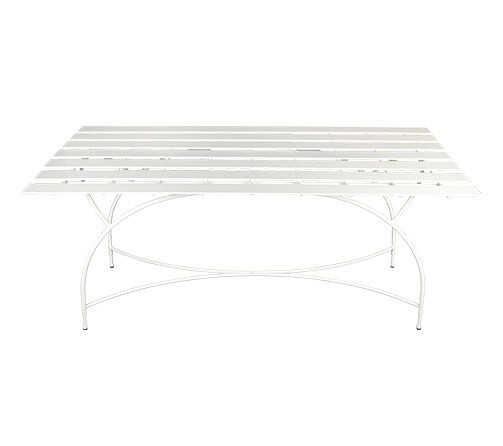 AS SHOWN: P5, powder coated in Alabaster White.